I’ve been working on creating a homemade shaving cream recipe for quite some time. Before I share the details about the recipe, let’s chat about the whole idea behind using shaving cream. It’s Friday, we have some time to kill, right?! After that first experience with foaming shaving cream and a razor, I was hooked on using colorful shaving cream and, of course, the very adult job known as shaving. Fast forward a few years to my early twenties. It was at that time that I finally gave up on the brightly-colored shaving cream, and it wasn’t because I started to question the ingredients inside the can. I was a newly married woman with nothing to my name (monetarily). Shaving cream was an expense that seemed too lavish and expensive, so it was quickly cut from our meager budget. 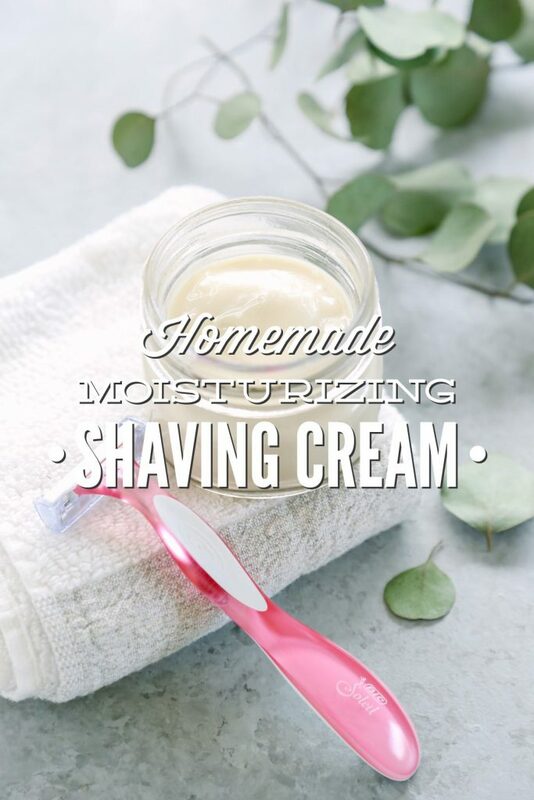 I’ve had a few requests over the past year from readers asking for a shaving cream recipe. 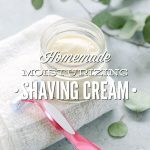 It was after those requests that I finally started thinking about returning to a shaving cream product, and that meant developing my own recipe to share with you! 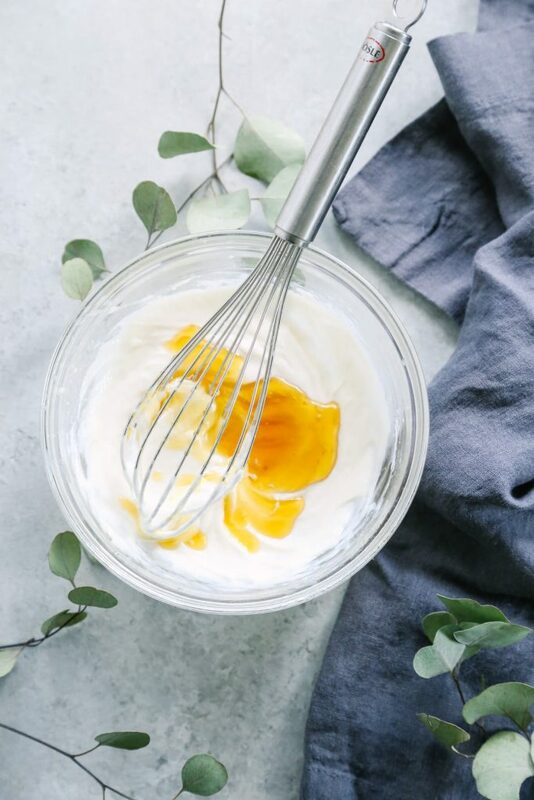 The journey to create a good homemade shaving cream recipe has been long and full of failures: months and months of testing, razor burn, clogged razors, whisking, dumping, and way too many dirty containers and bowls. From the beginning, I wanted to keep my shaving cream recipe simple, and remain true to the purpose of shaving cream. It’s easy to buy or make products and forget the purpose behind why I use the products. 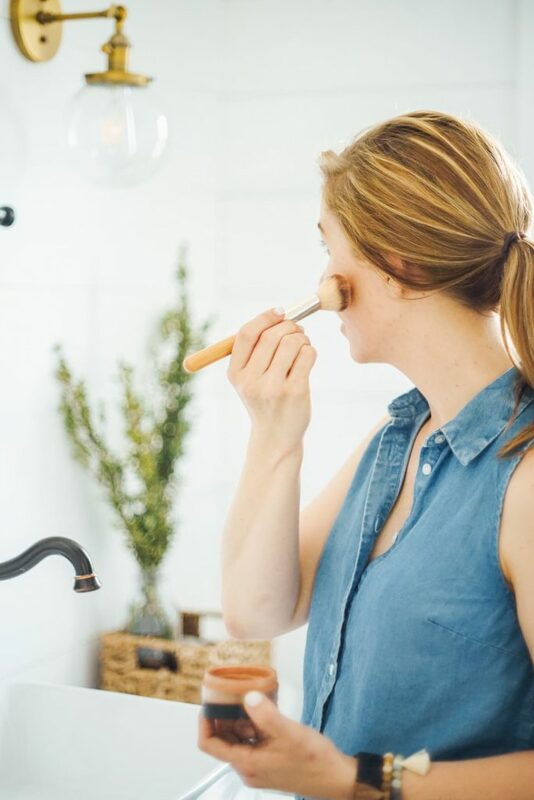 When I begin to question the reason for the products I purchase or make, I oftentimes find that something isn’t even necessary, or that I really don’t need to use a product so frequently. So before making a homemade shaving cream, I questioned the very reason why people even use shaving cream. From my research, I believe the reason why shaving cream is so valuable is because it helps moisturize the skin, provides a barrier between a razor blade and the skin, and helps lift the hair resulting in a closer shave. My first homemade shaving cream attempt combined shea butter and aloe vera gel. 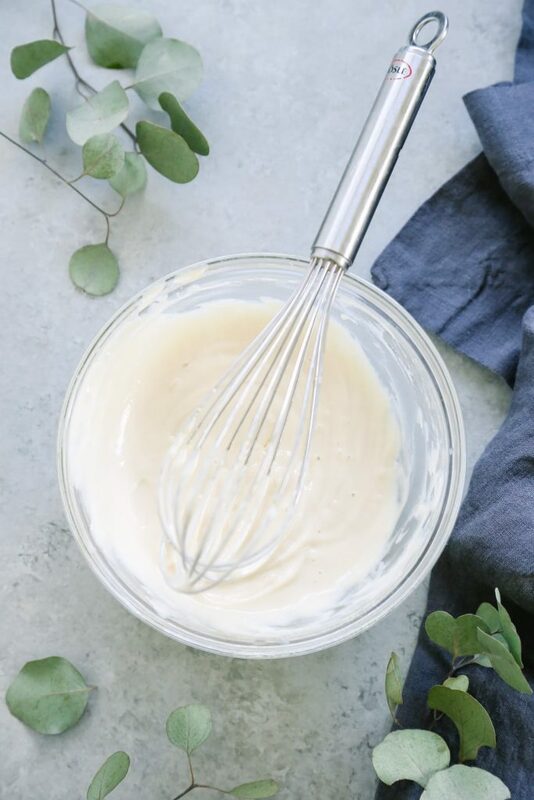 The two ingredients played nicely together at first, but after multiple tests, the product always turned out really grainy, even with a emulsifier. Yuck! Failure number one. After the first experiment, I decided to take to the Internet and research what other folks are using for shaving cream. Shea butter and coconut oil are very popular choices (which makes sense for the oil part), so I decided to try the combo. The two ingredients proved to be a major disaster for my razors, and the end result for my legs was severe razor burn multiple times. Ouch! Failure number two. With both failures behind me, I decided the coconut and shea butter mixture had potential, but needed some major ingredient enhancements. Since the thick butter and oil were causing my razor to clog, I added castile soap (a plant-based soap used for cleaning and beauty) to help dispel the hair and oil mixture from the razor. This addition was a major improvement. I also added glycerin and raw honey (my favorite natural beauty ingredient) to amplify the moisturizing benefits. Perfection! While I was happy with the new formula, one issue continued to come up: painful razor burn! After reading multiple shave forums (yes, there really are forums on the internet where shaving enthusiasts share their knowledge about shaving–oh the Internet! ), I decided to add baking soda to the mixture. I know, baking soda sounds like a funky ingredient for shaving cream. 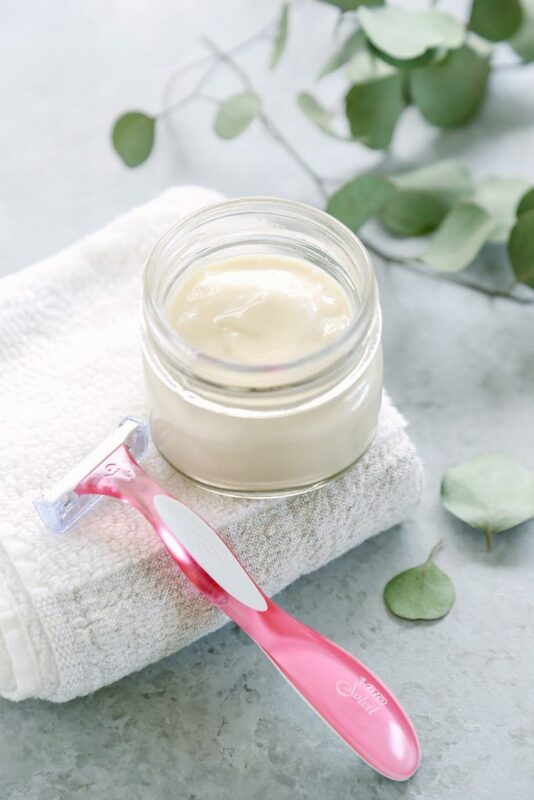 I had major hesitations about adding this ingredient, too, but the practice is quite common among men who experience razor burn (or at least it appears this way from the forums). The purpose of baking soda is to help remove the oils from the skin, which allows the razor to cut better, and also results in less irritation. The idea sounds crazy, but it really does help. Finally, I created a shaving cream worth using and sharing! I’ve been using this shaving cream for several months now, and I’m really enjoying the moisturizing benefits versus my good ol’ (free) warm water method. So, for now, I’m a shaving cream covert once again! Soften the shea butter. You can do this in a double boiler on the stove-top, or in the microwave (my preferred method--about 40 seconds). If you're not a fan of the microwave, use the stove-top. The heat is used just to soften the butter, so half the butter will be liquid and half will be a soft solid. Set the softened shea butter to the side. 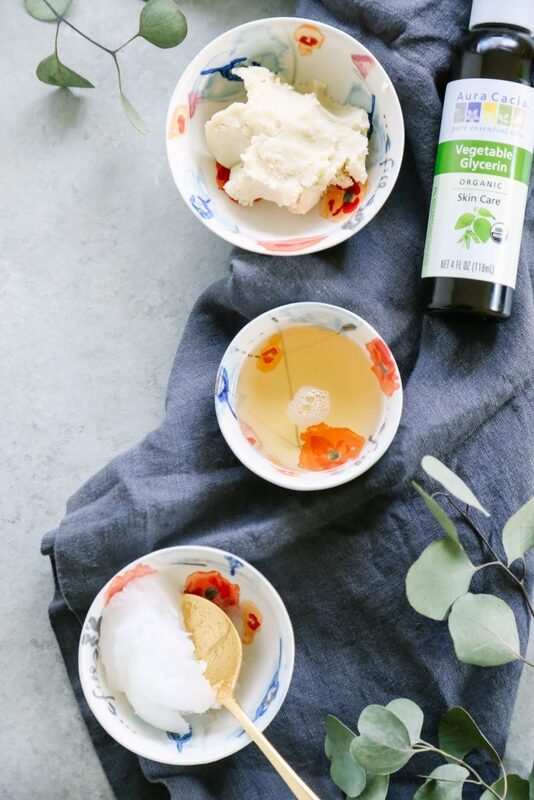 In a medium-size bowl, whisk together the soft coconut oil, vegetable glycerin, and castile soap. Slowly pour in the shea butter, whisking as you pour. Whisk the mixture for about 40 seconds. Add the honey and baking soda, and continue to whisk until well combined. This shaving cream is not a fluffy or whipped product. The goal is a creamy, mayo-like product. The shaving cream may be used immediately, but if it's allowed to rest for about 24 hours at room temperature, it will firm up (which I prefer). Store the shaving cream at room temperature in a sealed jar. I've kept my shaving cream for two months without issue. To Use: This is my preferred method...I place the jar of shaving cream on the ledge in the shower, and turn on the shower so the water is hot. Then, I wash my hair, body, etc. and wait until the end of my shower to shave. By this point, the shaving cream has softened with the steam of the shower, and my legs have been prepped for shaving thanks to the hot water. I apply a small amount of shaving cream to my legs, and then shave with my razor. This shaving cream doesn't foam and isn't meant to be a thick product. It's a moisturizing barrier between my legs and the razor. To keep bacteria from entering the shaving cream (introducing water to the cream may do this), I use a spoon to scoop the shaving cream, or dry my hands with a towel first and then scoop. Dustin doesn’t shave, so this recipe hasn’t been tested on a man. Sorry guys! Also, I recommend testing this shaving cream first on a small patch of your legs or underarms before using it all over your legs (or body). Use Honey: I’ve experimented in the past with using honey, and I really like the results. 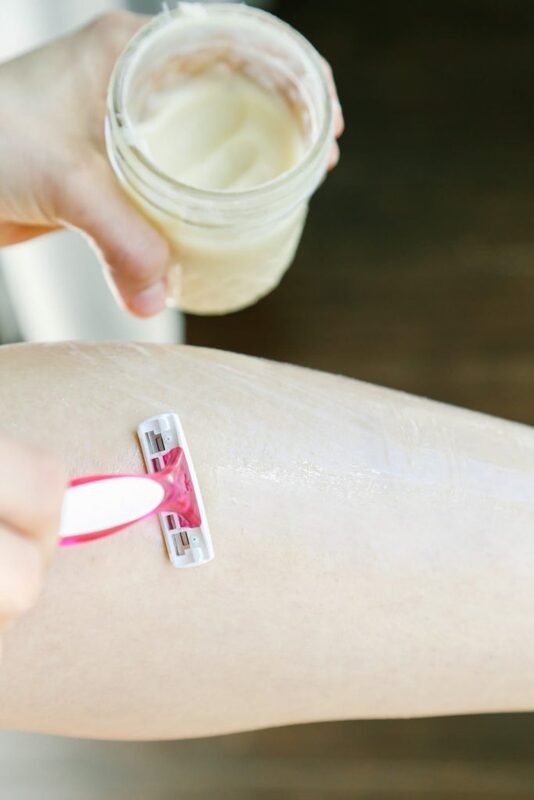 If you’re looking for an oil-free option, honey may be your best shaving friend. I’ve used my homemade facial cleanser recipe in the past, skipping the oil and replacing it with 2 teaspoons of baking soda. This mixture takes some getting used to since it’s a bit runny for shaving, so you may want to reduce the aloe. Use Castile Soap: 100% castile soap causes my skin to feel too dry when it’s used as a shaving product, but everyone is different. Castile soap will create the foaming action many people crave in a shaving product, and there’s no prep required. Find a “Cleaner” Store-Bought Product: I’ve only experimented with one store-bought alternative: Dr. Bronner’s Shaving Gel. 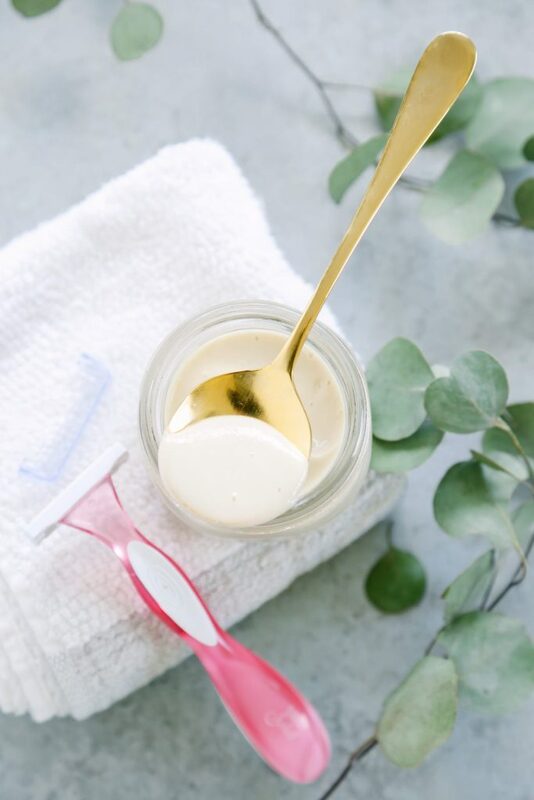 The gel requires some getting used to, just like using a homemade shaving cream requires a bit of adjustment if you’re switching from a “normal” shaving product to a cleaner option. I know some folks have coconut allergies and can’t use coconut oil on their skin. I’ve tried this recipe without the coconut oil, and I much prefer the coconut oil in the mix. You could try adding olive oil instead of the coconut oil, but the consistency probably won’t be the same. Some folks also have issues with shea butter. In this case, I recommend trying mango or cocoa butter. I haven’t personally tried making this substitution, so I can’t guarantee the texture of the final product will be smooth. I need to try this. I have been wanting to start creating my own beauty recipes for a while, I used to but time is a big factor. Hey Kizzy, I agree, time is a huge factor when it comes to homemade beauty products. I usually pick and choose my “battles” and go between cleaner store-bought products and homemade products depending on the season of life. 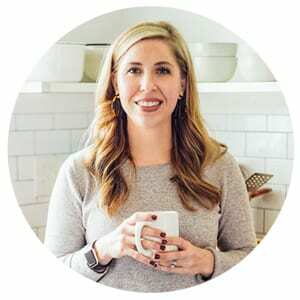 Here’s more information on how I decide “what to buy vs. make”–https://livesimply.me/2015/03/20/homemade-vs-store-bought-5-important-questions-you-must-ask/. I just bought the glycerin for another recipe and I’m so glad I did…now I have everything for this one! Looking forward to giving it a try. Awesome, Janel! I love the versatility of DIY ingredients. I just wanted to tell you that I saw your article and immediately tried your homemade shaving cream and soothing lotion, and I love them both! My legs always used to get itchy after shaving, well not anymore! These magical recipes are going to become part of my shaving routine. Thank you so much! That’s awesome, Juliette! I’m so glad you’re enjoying the recipes. I was in a nursing home for around a month and during that time my physical therapist had me start using my baby lotion to shave my legs as it was winter time ( December) and I had very dry skin. Your shaving cream sounds like it would work about the same keeping me from dry skin. Very important to me. Like you I shave about once a week or sometimes longer. My hair does not grow very fast so dont have to shave all the time. Hey Barbara, I hope this works well for you! It’s very soothing and moisturizing. Hi Kristin, I’ve been making my own natural toiletries for about 5 years now. I’ve never used shaving cream but it’s never occurred to me that there could be an alternative to warm water. Looking forward to whipping up a batch us this tomorrow. Hey Tanya, I was the same way. Enjoy the shaving cream! So excited to try this! I have had the same issue with coconut oil gunking up razors. What kind of lid do you use on the container? Hey Kate, I use a mason jar lid on my container. Anything that will provide a nice air-tight seal will work great :). I can’t wait to hear what you think! Hey Marthe, You could add essential oils to this shaving cream. Cedarwood might be nice, or even rosemary essential oil for more of a woodsy scent. I would stick to just a couple of drops. I’m so glad he’s enjoying the shaving cream!! Hi…can one replace aloe vera gel for the vegetable glycerin? Thanks so much!! Hey Audrey, Honestly, I’m not sure. It may cause the cream to feel a bit slippery, but it may work. Hey Kelli, You could try a pump container–it would be fine for storage. I’m just not sure the cream will actually pump though. Hello Kristen! I have made this recipe a few times now, and both my husband and I enjoy this so much! I’m hoping you can help me trouble shoot what happened this last time that I made it. After sitting for nearly 48 hours, it’s still in a liquid state. I cannot figure out what I did differently. Do you have any suggestions on how I can make it firmer? Hey Julie, I’m so glad you’ve been enjoying it! Hmmm, I’m not sure what happened, but I wonder if placing it in a cold environment would help. I would try placing it in the fridge for about 30 minutes to a couple of hours (check on every thirty minutes). Once it’s firm, remove it and give the ingredients a good stir. Hopefully that helps! Let me know what happens. Hey Kristin! Thanks for the suggestion! I put it in the fridge, and that seems to help. It’s still not quite the same consistency as previous batches, but at least it is useable. Hi! I made this about a week ago and love it! But it is gunks up my razors something awful. Is there an ingredient I can add more of too trouble shoot? Hey Kathleen, Hmmm, maybe try adding a bit of arrowroot flour…maybe just a teaspoon to start. Sooooooooo…I got a little to excited last night making things that by the time I got to making this recipe…I make not have the directions well and put everything together at once and then I saw my mistake. Ha! I whished it abunch and it changed texture and such, but am I going to have to throw this away and try again? Hey Kate, The only issue will be the lack of emulsification, which means the ingredients won’t blend together. Other than that, there’s not much of an issue. Ok, so it looked funny and didn’t solidify in any way so I threw it out and made it again following the correct directions this time. Hee hee. This time looks exactly the same as the last time so now I fear I will be throwing out two sets of these ingrediants! Ahhh money and bummerness. Mine never looks as white as yours before you put in the honey, is it because my roomtemp coconut oil is a liquid because its summer right now???!!!!! Hey Kate, I would try putting it in the fridge and then mixing again. See if that helps. 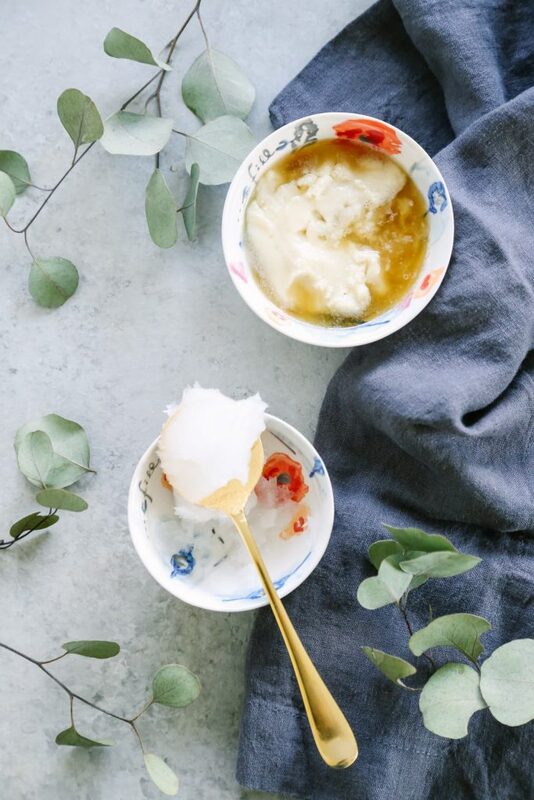 Yea, the coconut oil should resemble the photo–a solid but not hard. I wouldn’t throw it out. It should still be usable.